Michael is co-chair of the Firm’s Tax & Business Planning Group, he concentrates his practice on a broad array of federal tax issues. He has extensive experience in advising publicly traded and private real estate investment trusts (“REITs”) on business formations, initial public offerings, mergers and acquisitions, public and private debt/equity offerings, joint ventures and various UPREIT partnership transactions. He has also represented underwriters in numerous initial and secondary public offerings of REIT securities. 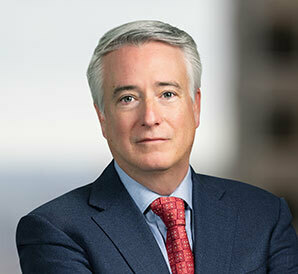 In addition to his tax transactional practice, Michael also has advised publicly traded corporations (including REITs), large and small private companies, and high net worth individuals on a wide variety of complex tax issues at the examination, appeals and litigation stages.